The European Union is built on solidarity: solidarity between its citizens, solidarity across borders between its Member States, and solidarity in its action inside and outside the Union. Solidarity is a shared value which is strongly felt throughout European society. It defines the European project which should be time and again restated and reinforced. It is part of the core fabric that makes the European dream inspire generation after generation. The European Union is about more than common rules, institutions or markets: it is a community of values. More solidarity will keep Europe together. It provides the necessary unity to cope with current and future crises by holding a strong moral ground. It provides a clear compass to guide the European youth in their aspirations of a better Union. It is in their minds and hearts that lie the strength and wit to further advance the European project. And it is the moral duty of current leaders to prepare the ground for it. "There are many young, socially minded people in Europe willing to make a meaningful contribution to society and help show solidarity. We can create opportunities for them to do so […] Solidarity is the glue that keeps our Union together […] Young people across the European Union will be able to volunteer their help where it is needed most, to respond to crisis situations […] These young people will be able to develop their skills and get not only work but also invaluable human experience". Young Europeans need greater and more easily accessible opportunities to express their solidarity. The European Solidarity Corps will connect enthusiastic and committed young people ready and willing to work on a common solidarity project. It will offer an inspiring and empowering experience for young people who want to help, learn and develop, while gaining valuable experience. The aim is to see the first 100,000 young Europeans joining the European Solidarity Corps by 2020. The European Solidarity Corps will strengthen the foundations for solidarity work across Europe. It will provide an extended basis for supporting organisations around Europe that provide solidarity opportunities for young people. It will serve the needs of vulnerable communities, of public national and local structures on a wide range of areas such as providing food to the persons in need, cleaning forests and beaches, supporting disaster stricken regions or helping with the integration of refugees. Under the European Social Fund and the Youth Employment Initiative, young people are given ample opportunities to engage in their home country in activities contributing to social inclusion and integration, thereby gaining work experience whilst expressing their solidarity with vulnerable communities and people in need across the EU. Willingness to volunteer outstrips the opportunities on offer. Only 6% of young people say that they have stayed abroad for the purpose of volunteering and of those who say that they have not done so, 88% say that they did not have the opportunity. In general, more than four in ten young Europeans say that they would like to work, study or train in another EU country 2 . An ongoing study 3 shows that solidarity-related sectors in the EU employed over 40 million people in 2015. By way of example, the estimated labour force in the area of social integration and social work, including the reception and integration of asylum seekers and migrants, currently stands at 170,000. The estimated labour force is greater in sectors such as education and health care. By way of indication about the potential interest, data from the EURES portal 4 shows that around 80,000 jobseekers are looking for work abroad in solidarity-related sectors. Surveys show that the participation in voluntary activities of young people from all socio-demographic groups could be improved. Young people who finished their education at the age of 20 or over are more likely to have participated in organised voluntary activities (26%) than those who ended education at the age of 16-19 (20%) or 15 or under (15%). In 2014, only slightly over a quarter of young people taking part in organised volunteering received some kind of formal recognition (e.g. a certificate or diploma). As regards work in another EU country, there is considerable interest among young people which cannot be fully met by existing schemes. Since the start of the Your First EURES Job scheme under the EaSI programme (2014-2020), only 1,469 placements could be made following 8,615 registrations and requests for assistance. …which is why the European Solidarity Corps needs to be ambitious and cater for all. Taken together, this paints a picture of unmet demand among young people not only for solidarity volunteering activities, but also for taking on solidarity jobs – at home or abroad. The common thread is solidarity oriented action. More and better opportunities should be provided, covering a broad range of activities, offering the right training and giving formal recognition to the skills and experiences gained. Activities should cover a wide range of skills to ensure a broad participation. European Solidarity Corps participants looking to improve their job prospects while contributing to a solidarity cause need more opportunities. The key objective of the European Solidarity Corps is to strengthen cohesion and foster solidarity in European society. It will allow more young people to participate in a wide range of solidarity activities, either by volunteering or gaining occupational experience in helping to resolve challenging situations across Europe. The European Solidarity Corps will support national and local authorities and bodies, non-governmental organisations and companies in their efforts to cope with various challenges and crises, as well as participating young people. The European Solidarity Corps will be based on the value of solidarity. As set out in its Mission Statement, the European Solidarity Corps will bring together young people to build a more inclusive society, supporting vulnerable people and responding to societal challenges. It will offer an inspiring and empowering experience for young people who want to help, learn, and develop. Its activities will follow a set of key principles to be observed by young participants. They refer, inter alia, to the respect for human dignity and human rights, the promotion of a fair and equal society, to making meaningful contributions to society, to respecting the rules and practices that govern the participating organisations, or to the voluntary choice of a young person to participate in the European Solidarity Corps. All young people should be able to participate irrespective of their background, education, level of skills, or disability. Each participating organisation, or intermediary organisations supporting a placement under the occupational strand (such as for instance public employment services), will need to subscribe to a Charter, setting out their respective rights and responsibilities during all stages of the solidarity experience: registration, selection, and activities before, during, and after the placement. The Charter also requires that participating organisations provide safe living and working conditions for European Solidarity Corps participants. They, or the intermediary organisations supporting the placement, will also provide the necessary training and support to help participants fulfil their tasks. Participating organisations will certify participants after their placement and where possible also document learning outcomes acquired by the participant during the deployment. Furthermore, participating organisations cannot request any financial contribution or fee from participants in the European Solidarity Corps. The European Solidarity Corps will bring together two complementary strands: volunteering and occupational. The volunteering strand will enhance and expand the existing European Voluntary Service scheme, which is funded through the Erasmus+ programme. It has involved about 100,000 young people over the past 20 years, based on clear quality standards, such as the accreditation of organisations, and has proven its ability to contribute to developing young people's skills and competences needed for engagement in society and when looking for a job. 70% of European Voluntary Service volunteers believe that their volunteering experience has increased their chances on the labour market, 74% increased their entrepreneurial skills and 85% gained further abilities in working in teams. Participation in the volunteering strand of the European Solidarity Corps should be a significant achievement for any young person and an asset when applying for a job. For many young people in Europe, the European Solidarity Corps would open up a new opportunity to engage in a meaningful activity that could prove a stepping stone to the job market. Based on the legal basis of the respective programmes, the European Solidarity Corps will support young people to carry out voluntary service between two and twelve months in another or their own country. Its initial implementation will be mainly based on the well-established and effective network of Erasmus+ National Agencies. Other volunteering activities will be financed by existing programmes such as LIFE, Europe for Citizens, the Asylum, Migration and Integration Fund, the European Agricultural Fund for Rural Development, the European Regional development Fund as well as the Health programme. For participants in a volunteering placement, accommodation, food, travel, insurance, and pocket money will, as a general rule, be covered by EU funding. The occupational strand will provide young people with an opportunity for a job, traineeship or apprenticeship in a wide range of sectors engaged in solidarity activities in another or their own country and needing highly motivated and socially-minded young people. It will be set up gradually through partnerships with public bodies and services (in particular public employment services), established NGOs and organisations operating in these sectors, building for instance on partnerships that already exist for the volunteering strand. The matching of European Solidarity Corps participants with actual offers will occur through these partnerships. An occupational placement will last between 2 and 12 months and will be full- or part-time. Activities will be initially financed through the EU Employment and Social Innovation programme and other existing EU programmes like the Asylum, Migration and Integration Fund and Europe for Citizens. The activities under the occupational strand will complement the work done by national employment services and in particular the European jobs network ("EURES"), which supports information and placements of workers across EU Member States in general. Thanks to its focus on solidarity values, the European Solidarity Corps will enrich existing recruitment practices at national level and offer new opportunities to other categories of young people than those who have benefitted so far from assistance. For participants in a job, apprenticeship or traineeship placements, there will be an employment contract established in accordance with the national regulatory framework of the hosting country. EU support for a subsistence allowance will be foreseen for apprenticeships and traineeships. Disadvantaged young people, who face additional barriers to entering the labour market (e.g. young people living in poverty or with disabilities) could be further supported. For participants in a job placement, there will always be a labour contract and a wage in accordance with local laws, regulations and collective agreements. Thus, participants will be insured through the national social protection systems. To obtain results that lead to labour market integration of the young participants, an active involvement of public employment services will be required. Under both strands, volunteering and occupational, participants will receive a certificate detailing what they have done during their placement. The Commission will also promote the assessment and validation of skills that they have acquired in the European Solidarity Corps. The added value of the European Solidarity Corps will be to provide a focal point for solidarity activities throughout the European Union. In cooperation with Member States and stakeholders at national and EU level, it will complement existing national schemes and enhance their foundations by concentrating financing instruments. The combination of a single entry point, two strands of activities, an effective and efficient selection and matching tool, allowances, insurances, and certificates will allow young people to express solidarity values across Europe. Participating organisations 5 will be able to draw on the European Solidarity Corps and engage its participants, using this precious resource to strengthen their activities on the ground for the benefit of citizens and society as a whole. By being part of the European Solidarity Corps, participating organisations may have a bigger choice of potential employees/volunteers with the skills they are looking for. They could additionally benefit from showcasing the socially responsible heart of their organisation or business. The European Solidarity Corps will be set up gradually, in close cooperation with stakeholders at all levels. In the first phase, launched through this Communication, young people wishing to express their interest in joining the European Solidarity Corps will be able to do so through a dedicated registration page under the European Youth Portal ( http://europa.eu/solidarity-corps ). Registration will be quick and straightforward. A first set of services, such as training and on-line language support, will be available already during the first phase of implementation. The first phase will include the use of existing financing programmes and resources to support placements of participants in the European Solidarity Corps. Participating organisations will be able to apply for funding for projects under these programmes allowing them to engage European Solidarity Corps participants. A summary of the various funding possibilities, for both volunteering and occupational strands, is presented below 6 . The 2017 budget for the European Voluntary Service is approximately EUR 58 million for activities within the scope of the European Solidarity Corps. The 2017 ERASMUS+ work programme will enable the current scheme to support the voluntary strand of the European Solidarity Corps, by providing important parts of its current structure and opportunities. Within the occupational strand of the European Solidarity Corps, the 2017 Employment and Social Innovation work programme will launch a pilot to support cross-border placements, building on the experience with Your First EURES Job scheme and the expertise of the Public Employment Services. A consortium will be set up across EU countries between intermediary organisations such as the Public Employment Services, NGOs and training institutes. The organisations that are part of the consortium will carry out outreach and information activities towards young people and employers interested in supporting solidarity activities, provide assistance and guidance to match registered young people with employers and provide support with training and guidance related to the placements. The overall budget is proposed to be EUR 14.2 million and projects could start in June 2017. The consortium will use inter alia labour market information related to job vacancies registered and processed with the public employment services. For all projects currently implemented, the programme will encourage beneficiaries to involve young people from the European Solidarity Corps. In 2016 a EUR 2 million specific call for proposals for volunteer activities linked to the conservation of Natura 2000, the EU-wide network of nature protected areas, will be launched to allow for in-country placements of European Solidarity Corps participants. In 2017, LIFE will partner with Erasmus+ to reinforce the environment strand of the European Voluntary Service and extend it to environmental and climate action cross-country placements. Another call for proposals for the so-called traditional projects will be launched in April 2017 and will encourage applicants to include the development and support of networks of young volunteers. Possibilities under LIFE to support the occupational strand of the European Solidarity Corps will also be explored. For projects starting from August 2017, this programme will encourage project promoters to engage young people registered in the European Solidarity Corps. For 2018 there will be a new call for proposals for operating grants with the additional requirement that awardee organisations use European Solidarity Corps participants. The "Civil Society Projects" strand will be important for this purpose. The approximate budget will be up to EUR 3.5 million per year. In 2016 a minimum of EUR 9.5 million will be available for projects promoting the integration of third-country nationals and the call for proposals will encourage the involvement of European Solidarity Corps participants. Projects could start as of mid-2017. In 2017, there will be another substantial call to support integration of third-country nationals. The priorities will make explicit reference to the European Solidarity Corps. Projects could start as of end 2017. (f) European Regional Development Fund From 2017, EUR 1 million will be allocated under the ERDF operational technical assistance to young Europeans aged 18 to 30 years willing to serve for 2 to 6 months in an Interreg cross-border, transnational or interregional programme. The scheme will complement the volunteering strand of the European Solidarity Corps, either via 'Interreg project partners' helping on a concrete project or 'Interreg reporters' supporting an Interreg programme in promoting concrete results of past projects. The European Agricultural Fund for Rural Development will provide support for projects with an agricultural or rural development component involving European Solidarity Corps participants. The funding earmarked for those projects is EUR 1.3 million from the 2016 budget and up to EUR 0.5 million from the 2017 budget. In particular, this European Agricultural Fund for Rural Development support will complement the volunteering strand of the Solidarity Corps engaged in the nature conservation activities promoted under the LIFE programme. In 2017, beneficiaries of operating grants will be encouraged to use the European Solidarity Corps. An estimated EUR 60,000 will be available for these NGOs to actively involve European Solidarity Corps participants in the health sector. Based on the outcome of a targeted outreach with health stakeholders further proposals could be developed. In a second phase, taking account of input from stakeholders, a consolidation process and robust roll-out of the European Solidarity Corps until 2020 will take place. Funding opportunities under the Youth Employment Initiative will also be considered for the occupational strand. The European Solidarity Corps, in its entirety (volunteering and occupational strands), should be financed through its own budget-line on the basis of a separate legal basis, to be proposed by spring 2017, and possible budgetary adjustments within the existing financial framework. The Commission will make the necessary arrangements in that respect. Young people will be able to engage in a broad range of activities. These activities could be linked to services of general interest and cover areas such as education and youth activities, health, social and labour market integration, assistance in the provision of food and non-food items, shelter construction, site construction, renovation and management, reception, support and integration of migrants and refugees, post-conflict reconciliation, environmental protection and nature conservation, or prevention of natural disasters (but excluding immediate response to disasters which requires more specialised skills and training). The geographical scope of the European Solidarity Corps will primarily cover the EU and, where relevant, other countries participating in the various existing financing instruments contributing to the European Solidarity Corps. Registration will be open to young people, citizens and residents 7 of the EU, between 17 and 30 years. The actual European Solidarity Corps placement should start as of age 18. The European Solidarity Corps registration tool is built into the European Youth Portal and found via internet search engines. Young people can register their interest by providing basic personal data, in full compliance with data protection rules. More detailed information, needed to create a more comprehensive profile of participants, will be collected subsequently. The registration tool will be available in the 24 official languages of the EU and adapted to mobile devices. As they register, young people will be able to specify what countries they would like to be placed in, whether they want to volunteer and/or work, what type of activities interest them and what knowledge and experience they can bring to European Solidarity Corps activities. All participating organisations, or the intermediary organisations representing them, wishing to run projects through the European Solidarity Corps must agree to adhere to the European Solidarity Corps Charter. Depending on the implementing instrument, they will either undergo checks to become accredited or be asked to comply with high quality standards, in order to run such projects. They will then be able to search for suitable candidates among the young people registered in the European Solidarity Corps database. The materials and tools for services offered, such as dedicated training, language training tools, and certification, will be gradually developed. Young people will be regularly informed and actively guided towards solidarity activities. The web based application will be upgraded to allow for building a community of those participating in the activities of the European Solidarity Corps. A number of initiatives are also being planned to keep registered young people engaged in the period between registration and the first deployment, such as e-newsletters with the latest European Solidarity Corps related updates and activities organised by Commission Representations to which young people registered will be invited. An online platform is also envisaged where European Solidarity Corps participants, young people and organisations, could share their experiences. The IT tools will be further developed to help the European Solidarity Corps participants staying in touch with each other and finding projects, and letting organisations and intermediary organisations 8 select participants for their projects. Coupled with a strong visual identity, a communication campaign will be conducted in all Member States to create awareness and interest in the European Solidarity Corps. The campaign will continue throughout 2017 highlighting, among others, the first placements and the experiences of participating young people and organisations. 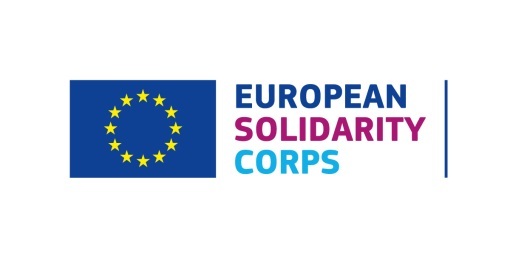 Setting-up the European Solidarity Corps requires the support of and close cooperation with a broad range of stakeholders, including public bodies and associations at international, European, national, regional and local level, networks at EU level or other, NGOs, and businesses. These stakeholders are engaged in activities that are related to solidarity and volunteering or that may have a key role in integrating young people into a European Solidarity Corps placement. Many EU Member States have a long-standing tradition and experience in volunteering and the EU itself has 20 years of experience in managing the European Voluntary Service as a cross-border activity. The European Solidarity Corps will draw on all of these without replacing existing volunteering schemes set up by Member States. The aim is to identify unmet needs, multiply successful projects, and involve more organisations. To prepare the first phase of the European Solidarity Corps, the Commission has already started outreach activities and targeted consultations have taken place. This Communication is based on their valuable input. Most respondents were supportive and emphasised the European Solidarity Corps' potential for supporting integration, fostering inter-European and inter-generational solidarity, promoting common values, reducing nationalism and generally enhancing the concept of citizenship. Key issues highlighted concerned (i) the need for a gradual implementation approach, (ii) the need to supplement, by addressing unmet needs, rather than replicate existing programmes, (iii) the need to offer more opportunities for young people by upscaling, broadening and ensuring appropriate funding, (iv) a strong call for an inclusive and non-elitist European Solidarity Corps, supporting the participation of minorities as well as vulnerable groups, (v) the need for tailored training and clearly-defined certification of acquired skills, (vi) a thorough accreditation process while keeping the process non-bureaucratic and (vii) the need to ensure that volunteering complements rather than replaces paid employment. Representatives of consulted national authorities underlined the need for a clear strategic vision for the European Solidarity Corps which could focus on helping those in need. As a consequence, the needs and demands of local communities could be an important quality criterion for eligible projects. Consulted associations, mostly at the European level, also suggested a virtual network for participating organisations to share experiences and good practices. Individual non-governmental organisations saw the European Solidarity Corps as a great opportunity for Europe to re-launch volunteering among young people. Furthermore, NGOs stressed the need for financial support, for making the European Solidarity Corps accessible to both local and national NGOs, and for creating a single web portal for the programme. They also suggested consulting participating organisations on their detailed needs. The dialogue with stakeholders will be intensified throughout all phases of establishing and implementing the European Solidarity Corps. A dedicated media campaign will promote this dialogue, in particular to young people. The Commission will also reach out to EU Member States and additional solidarity organisations to ensure that the European Solidarity Corps will complement existing solidarity programmes. The European Commission will closely monitor the interest in participating in the European Solidarity Corps, the actual number of placements and the sectors covered by solidarity activities taking into consideration the overall objective of ensuring that interested young people across Europe have equal opportunities to participate in the European Solidarity Corps activities and that they are placed where needs arise. The European Commission will engage in a sustained effort to advance the European Solidarity Corps project based on an active engagement and close cooperation with stakeholders, Member States and European institutions. - to support the further development of the European Solidarity Corps. (1) Eurobarometer "European youth" 2015 (EC, 408). (3) Forthcoming report on "Labour demand in solidarity-related sectors in the EU". (4) Assessment based on state of play at one moment in November this year. The portal collects job vacancies and allows individuals to search for a job and create their CV online in order to be found by employers registered on the portal. Education, work experience and desired occupation can be indicated in the CV template. (5) In the context of the European Solidarity Corps initiative, the term "participating organisation" is being used to define any public or private body that will take part in the European Solidarity Corps by providing placements to Corps participants, under both strands of the initiative. The European Solidarity Corps is open to any type of entity that offers opportunities of a volunteering or an occupational nature that are in scope with the European Solidarity Corps and its fields of activity (e.g. NGOs, public authorities and bodies, institutions, companies). (6) The amount specified for each programme will also cover participation costs and the related services.. Moreover, programmes such as AMIF and Europe for Citizens will initially support the European Solidarity Corps initiative via broader actions. Therefore, the amounts reported above are to be considered as maximum contribution to the initiative.